Situated in the historical district, this bed & breakfast is within 1 mi (2 km) of Christ Church Longford and Brickendon Estate. 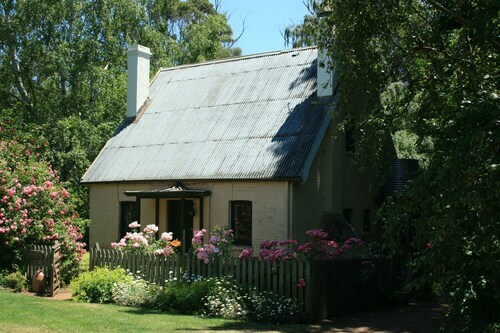 Woolmers Estate and Brickendon Colonial Farm Village are also within 6 mi (10 km). Situated in the historical district, this bed & breakfast is 1.2 mi (2 km) from Brickendon Estate and within 9 mi (15 km) of Woolmers Estate and Entally Estate. Symmons Plains Raceway and Franklin House are also within 12 mi (20 km). 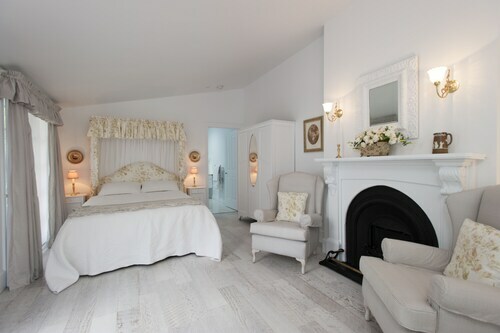 Situated in Longford, this luxury bed & breakfast is 0.5 mi (0.7 km) from Christ Church Longford and 1.5 mi (2.4 km) from Brickendon Estate. Woolmers Estate and Brickendon Colonial Farm Village are also within 6 mi (10 km). History and nature come together like two peas in a pod in Longford. Home to heritage-listed buildings, gardens, food and shopping, Longford is just a handy 25-minute drive from Launceston, Tasmania’s second biggest city. It also has cool yearly events, especially if horse racing is your thing! 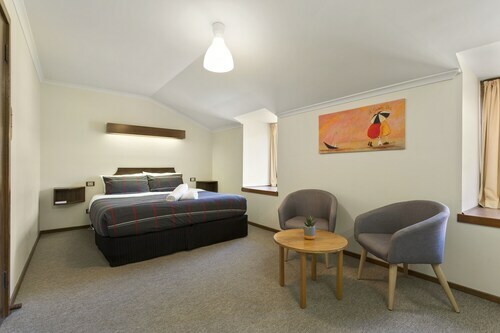 Get some fresh Tassie air and see more of the apple isle with our Longford hotels. Settlers started arriving in Longford, the traditional home of the Panninher people, in 1807. Using convicts, they built houses in the area. In 1811, Thomas Archer moved over from England, later convincing his brothers and father to join him, and built fancy homesteads like Brickendon Estate and Woolmers. To see some of Longford’s history for yourself, make sure you pay a visit to Brickendon. 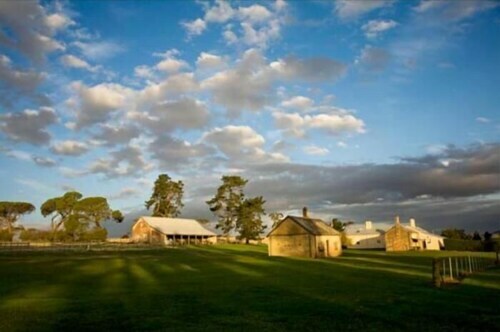 One of Tassie’s oldest farming properties, it’s been owned and operated since 1824 by seven generations of the Archer family. Now THAT’S commitment! Check out the Farm Village to see where convicts worked and meet some chickens, goats and sheep. Wander the Estate Gardens and see one of the most diverse tree collections you’re likely to come across, featuring trees from several different countries. Woolmers Estate is worth a visit too, especially for its National Rose Garden, 5000 roses in sculpted beds next to grassy pathways. It has amazing views of the mountains and town too! While you’re here, check out other historic buildings like Christ Church, a gift from King George IV, and the Queen’s Arms Hotel on Wellington Street. But it’s not all about history and flowers! You can also play a round of golf at Longford Golf club, get some good health into you at the Longford Sports Centre or wander the commercial part of Wellington Street for pubs, shops and restaurants. Just nine kilometres from Longford, you’ll also find the Woodstock Lagoon Wildlife Sanctuary, a 150 -hectare wetland sanctuary teeming with waterfowl. Come to Longford in October for the Longford Show. First held in 1857, it’s a one-day mini-festival packed with entertainment, carnie rides and animal attractions. The Longford Racecourse is the oldest racecourse in Australia to operate non-stop and holds the Longford Cup, a thoroughbred horse race, every New Year’s Day. 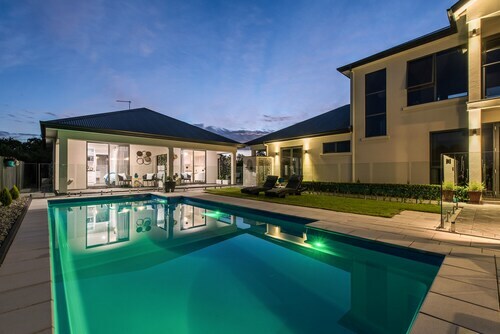 Book a flight to Launceston with us and make sure to take the time to drop into Longford. 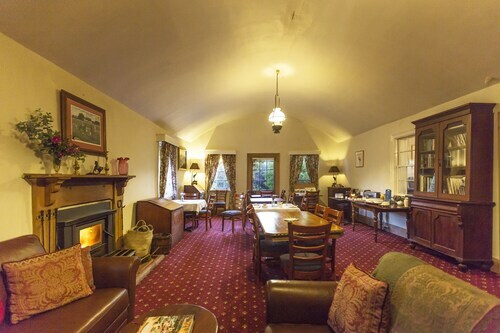 With our Longford accommodation, your Tassie trip will be even more terrific. How Much is a Hotel Room in Longford? 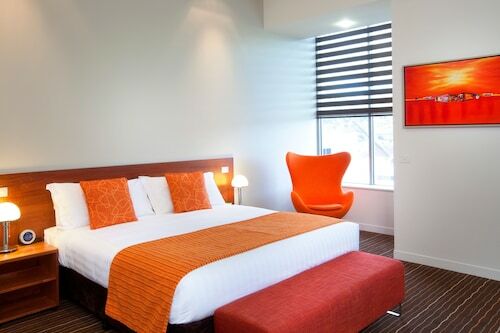 Hotels in Longford start at AU$150 per night. Prices and availability subject to change. Additional terms may apply.